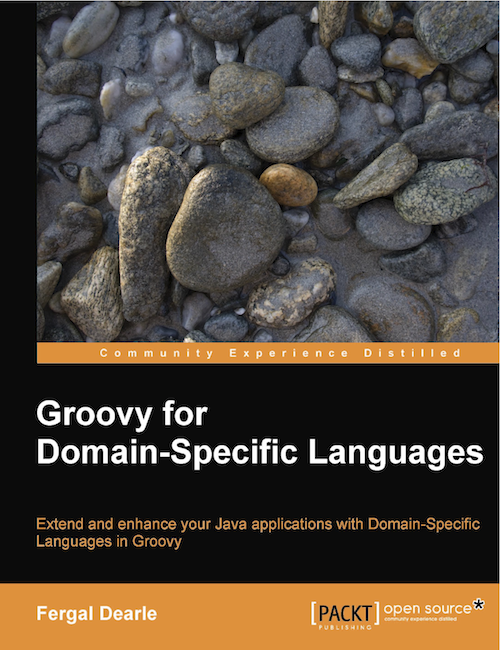 Upcoming Book Review: Groovy for Domain-Specific Languages · JVM. Blog. This blog post is rather new concerning its type of content: book reviews. I decided to extend the scope of this blog by writing book reviews of Groovy/Grails literature. If you are an author and you are interested feel free to contact me. The book review series will start with a book released by Packt Publishing this summer: Groovy for Domain-Specific Languages . The book provides tutorials for Groovy meta-programming features and how those can be utilized to construct domain-specifc languages. If you want to take a sneak peak at one of the chapters, you might have a look at the sample chapter: Building a Builder . I am currently into reviewing the book, so expect an extensive review here at Grails Inside soon.